Dr. Noel trained in Minimally Invasive Surgery in the early 1990s and has become very one of the most recognised laparoscopic surgeons in France. He started his journey in Obesity Surgerywhen he was a Fellow and slowly developed his skills when he first joined a private practice at the end of his fellowship. At the end of year 2000, he founded the Bariatric Surgery Department in the Casamance Private Hospital that quickly became the cornerstone of Bariatric Surgery in France. Dr. Noel championed the Posterior Approach to the Sleeve Gastrectomy. It enables a faster operation with minimal number of incisions and without the use of a liver retractor. He also extensively published about the Re-Sleeve Gastrectomy that he helped develop. With over 4000 bariatric procedures (sleeve gastrectomy, gastric bypass, duodenal switch, SADI, gastric banding) including more than 800 revisional procedures, his surgical experience became the largest in the country for a single operator. Consensus Summit in New York, where he was invited by Professor Michel Gagner to present the largest revisional surgery experience of gastric band conversions to sleeve gastrectomy. 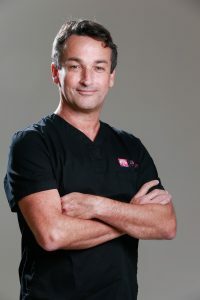 He has been actively involved in the activities of French and international surgical societies including the ASMBS, IFSO and is a reviewer for SOARD (Surgery for Obesity and Related Diseases) and Obesity Surgery. In 2015, Dr. Noel left France to lead the Bariatric & Metabolic Department of two clinics in the UAE, focusing on a holistic approach of the treatment of obesity while continuing to take part in the development of new surgical approaches in the Bariatric field.